My name is Bryan Acevedo Marrero, and I am a fifth-year senior majoring in Civil Engineering at the University of Puerto Rico at Mayagüez. As part of SUMREX at Oregon State University in 2018, I assisted graduated students, technicians and professors in the documentation and construction process of a prototype house on a 1:6 scale, which emulated the structural response of a real house under hurricane wave loads. I also helped with the quality check of obtained data (the structural response of prototype house under hurricane wave loads) and initial plotting of the data to compare hurricane wave conditions to the expected load and structural response of a real house. Finally, I developed a full-scale house model in the computer program Sap2000 in order to study its structural response under wave forces. For this project I applied many engineering classes that I took along my university path such as statics, dynamic, structural analysis and my knowledge in Sap2000. This research was aligned to my interest in understanding structural behavior to eventually design and build resilient infrastructures. This internship helped me to explore more about grad school and how this can expand my opportunities in civil engineering area to improve my personal and professional aspirations. Within engineering, the most interesting, exciting and intellectual field for me is Civil Engineering. During these past four years I have worked diligently to increase my understanding and mastery in this field, and I have greatly enjoyed the process of the structural analysis. I chose this area of study because I want to be able to contribute to society in the process of planning, designing and building resilient infrastructures in countries around the world to save lives and mitigate structural damages. 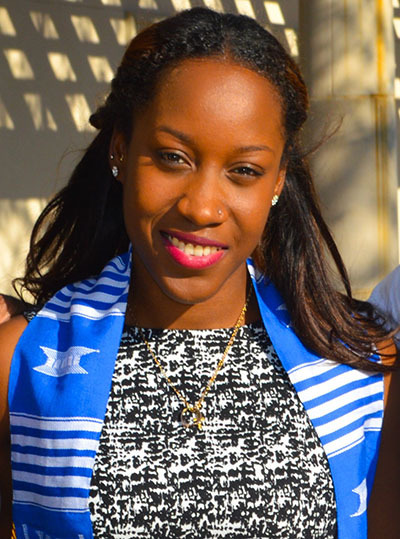 My name is Irenia Ball, and I am a graduating senior at Tougaloo College in Jackson, Miss. My major is Sociology, with a minor in Disaster and Coastal Studies. I was born and raised in New Orleans, and I am a survivor of Hurricane Katrina. Going through this unforgettable moment in my life has pushed me to help others, specifically to learn more about natural disasters and how to help people prepare for them. I plan on pursuing a Master’s degree in Disaster and Coastal Management and a doctorate in Sociology. My career goal is to become a professor in the Social Science department at my soon-to-be alma mater. In the summer of 2016 I had the opportunity to be a part of the Coastal Resilience Center (CRC) summer research experience (SUMREX) at the University of Delaware. I got the chance to analyze how the government, insurance companies, and homeowners make decisions related to hurricane mitigation and insurance. In addition to this program, I participated in several trips with the School of Public Policy to a local Emergency Management Agency in Dover, Del., and the Community Services Center in Wilmington, Del. I went to several panels on hurricane mitigation, but this panel really stood out about non-profit organizations and how they impacted the community of Wilmington. This was such a wonderful opportunity for me. I was able to learn more about all the aspects of a natural disaster event, from preparedness to recovery. Also, it was interesting to learn about the difference and similarities of East Coast and Gulf Coast hurricanes. For example, in the South people are much more mobile and able to evacuate than in the East, where city structures and reliance on publican transportation make evacuation challenging. I also had the chance to see how graduate school would be for me. I am an undergrad and the majority of the students I was with were graduate students. It really helped to hear how they processed information and allowed me to work side-by-side in an elevated academic setting. This experience has affirmed my educational and career goals. Now, more than ever, I am ready for what the future holds. My name is Dr. Matthew V. Bilskie and I am a research scientist at Louisiana State University. I graduated from LSU with a Ph.D. in Civil Engineering in August 2016. I also have a bachelor’s and master’s degrees in Civil Engineering from the University of Central Florida. Growing up in Florida, I was aware of the damage and disruption that hurricanes can cause across large scales. My curiosity was sparked after Hurricane Katrina and I wanted to learn more about how hurricanes cause coastal flooding and its related effects on coastal communities. 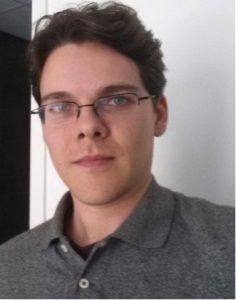 My research focus is computational modeling of hurricane storm surge, unstructured finite element mesh development, real-time forecasting and prediction of coastal flooding, coastal flooding in a changing climate, compound flood events from rainfall and surge, and translating modeling results for use by coastal stakeholders and decision-makers. My work with the CRC involves developing computationally efficient and accurate unstructured finite elements meshes for real-time hurricane storm surge forecasting and prediction. The models I have developed were successfully used to provide forecast guidance during hurricanes Irma (2017) and Michael (2018). My name is Jason Burke, and I am a master’s student in Civil Engineering with a concentration in Coastal and Ocean Engineering at Oregon State University. I chose this area of study for two reasons. The first is that I am a Navy Civil Engineer Corps (CEC) Officer and applied to a smaller subset within the CEC called the Ocean Facilities Program (OFP). Part of joining the OFP is attending graduate school with an emphasis in Coastal and Ocean Engineering studies in order to bring current knowledge and practices back to the Navy. The second reason I chose this area of study, and partly why I decided to join the OFP, is the trend in climate change we’ve observed over the past few decades and are predicting in decades to come. Whether you’re a scientist, policymaker or engineer, it’s an exciting area of study in need of more attention than it’s currently receiving. My education and career goals, for the time being, revolve around my Naval career. My first goal is to continue my service until I am able/ready to retire from the Navy. One benefit of the OFP is that I will be changing jobs every few years, learning from each position and creating new goals along the way. Post-Navy, my goal is to work in the field of infrastructure resiliency. As part of the CEC and OFP I’ll be working primarily with Navy facilities and infrastructure. I’d like to continue that work in the private sector either directly or with continued research. As part of the CRC I was invited to attend the DHS Centers of Excellence Summit 2018 in Washington, D.C. While at the summit I was able to represent previous research done at my institution for the CRC as well as discuss my project planned for later that year. For my project, we built five physical models of residential coastal structures at a 1:6 scale. We then performed various structural and hydrodynamic tests on the physical models in an effort to characterize their behavior and, eventually, further our ability to predict structural damage resulting from natural disasters. My work with the CRC has helped with my career goals a great deal in that I was able to perform research in a pertinent area of study with direct value to the Navy. The vast majority of Navy assets are on the coast. The resiliency of those assets and an ability to predict/plan for an expected level of damage from an impending natural disaster could be of great value. More for me personally, I was able to gain a lot of knowledge and hands-on experience both in attending the COE Summit and from my research with the CRC; both of these will help me as I continue to my career in and beyond the Navy. My name is Meredith Burns and I graduated with a master’s degree in City and Regional Planning from UNC-Chapel Hill in 2018. I concentrated in land use and environmental planning, and earned a Natural Hazards Resilience Certificate. I became interested in planning while working as a newspaper reporter in south Louisiana. My job involved covering the devastating effects of coastal land loss on individuals and families, as well as the policymakers trying to intervene. I wanted to learn more about how coastal communities facing threats from sea level rise, land subsidence, wetland degradation and hurricanes grapple with a rapidly changing landscape. I figured graduate school was a good place to start. I was fortunate to work with the Coastal Resilience Center in a few different capacities throughout graduate school. As part of the Hurricane Matthew Recovery and Resilience Initiative (HMDRRI) team, I worked with local leaders from six eastern North Carolina communities to develop long-term recovery plans and was able to witness a state recovery process in action. I also worked as a communications assistant with CRC, which gave me an opportunity to learn about the fascinating hazards research taking place across the country. Through these experiences I was exposed to the language and interdisciplinary thinking of leading coastal scientists and policymakers, and I feel more prepared to participate in productive conversations about climate change and hazards resilience in affected communities. After graduating in 2018 I started working as a regional planner in South Carolina’s lowcountry. My job covers a variety of topics, ranging from public transit to affordable housing, and the region’s willingness to integrate sea level rise, hurricanes and other hazards into these planning processes has been encouraging. My overall career goal is to continue serving people living in coastal communities in the American south, particularly residents who are often overlooked and underserved. I’m not sure if that will involve documenting stories, recommending policies to improve services or some combination of both, but I do not anticipate a shortage of opportunities to help communities navigate their changing landscapes anytime soon. My name is Kevin Cueto-Alvarado, Civil Engineering graduate student. I am currently in the first year of the Civil Engineering master’s program at the University of Puerto Rico at Mayagüez campus. My interest in structures (especially houses) began when I was little, and this led me to choose this major. Also, I have always thought that it must be a great satisfaction to design and then get to see that structure built. That is why I set a goal to get a bachelor’s degree in civil engineering and a master’s in structural engineering. Once my academic goal is completed, I would like to develop my professional skills in a company that can carry out the design and construction of structures. The SUMREX project consisted of subjecting a steel box to high-impact waves of different heights. This scenario was seeking to simulate the impact of Hurricane Ike (2008) on the Bolivar Peninsula. The main objective of the project is to understand the behavior of waves on elevated structures, located near the coast. Once this is understood, the design techniques can be improve and strengthening of existing structures on the coast. As part of the project, my goal was to determine if the Rayleigh Distribution applies to the probability of the horizontal and vertical significant pressures at different significant waves’ height. For seven weeks, I collected data from wave heights for different trials and determined the probabilities of exceedance. Once the data was collected, this exceedance probability was plotted and the Rayleigh distribution was added for comparison. This comparison was made for: significant wave heights, significant vertical horizontal pressures and significant pressures. With my participation in this research, I had the opportunity to acquire knowledge on another field of Structural Engineering. Specially, of waves and structures interactions, in which I am particularly interested for my major thesis. Also as a professional, it is very important to have the ability to interact and work with others, to improve the job efficiency. Through the seven weeks’ experience I had the chance to expose myself and develop this essential ability. 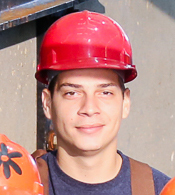 My name is Diego Delgado-Tamariz, and I’m on my fifth year of civil engineering at the University of Puerto Rico at Mayagüez. At the point in my life that I needed to decide what career to choose, civil engineering was the one that made more sense. Being able to contribute to society, at the same time that new ways of engineering thinking are being used, is where I want to be. 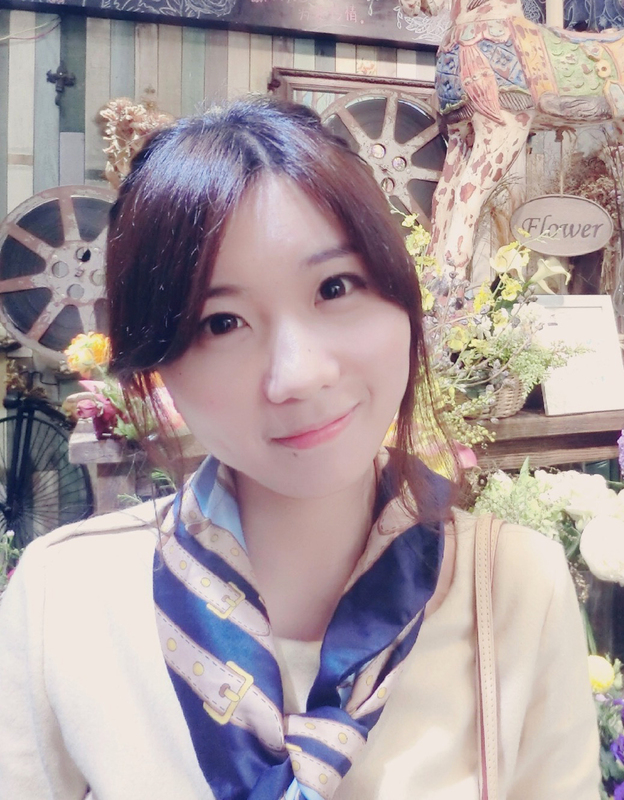 I would like to continue my studies to graduate school and then be able to use my knowledge to found new ways of doing civil engineering in the professional market. Coastal Engineering is an area entirely new for many people but at the same time it is very essential, since every country or state with coasts need every aspect that coastal engineering covers. As part of the SUMREX program, I participated as an REU program student at the Department of Civil Engineering of Oregon State University. I worked with Dr. Daniel Cox as my advisor and a great team of students with a diversity of academic levels. The project that I participated in is called Elevated Structure Impact, and it’is part of a two-year research project where Dr. Cox and Dr. Van de Lindt (from Colorado State University) are the principal investigators. The primary goal of this project is to understand the behavior of near-coastal structures against high surge levels and wave forces. It is important to be able to relate how the elevation of a building can directly affect the damage created by a storm wave + surge. As part of the internship, I worked on understanding the pressures on an elevated structure created by non-breaking, breaking or broken waves. When my department director told me about the opportunity of working in the area on Coastal Engineering at OSU, I rapidly did everything to apply for it. The experience of learning about the area of my interest was excellent. Every experience that I got there is in part the reason why I want to expand my knowledge on coastal engineering and keep visiting places around the world. The chance of visiting Oregon, the learning experiences, and the chance of meeting new people was entirely academically enriching. 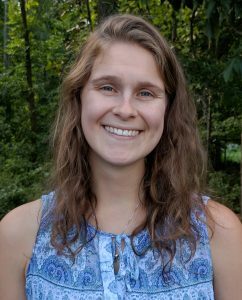 My name is Colleen Durfee, and I am a student at the University of North Carolina at Chapel Hill pursuing my Masters of City and Regional Planning in the Land-Use and Environmental Planning Specialization. I chose City and Regional Planning because I come from a background in geography where I studied social and political issues through a spatial lens. Through a master’s in city and regional planning I will address those issues and gain the skills needed to better prepare cities and regions for natural hazards. I am specializing in land-use because I think it is at the core of urban form. Land-use not only dictates where housing, utilities, and commercial districts are located but where they cannot be located so as to best protect the environment and local population’s severe losses. Educationally, I want to look at post-hurricane recovery and plans for mitigating the severity of the effects of future hurricanes in the recovery process. I am interested in how recovery from a natural hazard is affected by a community’s ability to retain population and how the housing market and debt accumulation determines the capacity for recovery. Career-wise, I would love to work in a coastal area creating and advising comprehensive plans for cities to be better prepared for rising sea levels, more frequent severe storms, and flooding. When applying to planning schools, I was coming from a perspective of looking at problems spatially and how spatial factors can influence political, economic, and social processes. I was interested in not only studying these processes but learning how to influence, change, and critically examine them. The Coastal Resilience Center will expose me to the field of natural hazard planning and through this exposure I will hone the tools and skills to not only research but also address the topics I am interested in. I look forward to working with Dr. Gavin Smith on the projects the center is involved with. I hope the Education and Workforce Development fellowship will give me a platform from which to jump into a career in coastal hazard planning. 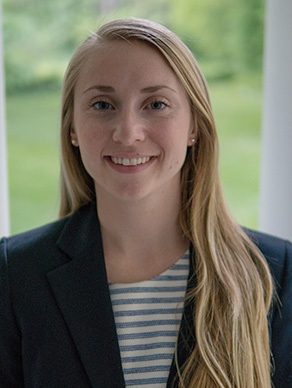 I hope to work with some of the top researchers and practitioners in the field and use the experiences such as the internships and the conferences provided through the center to focus and delve into my educational interests and career goals. 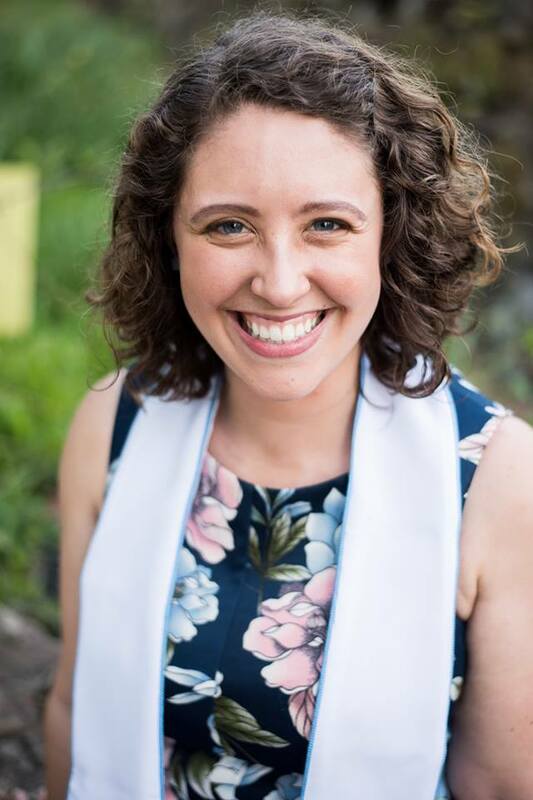 My name is Sara Edwards and I am a student in the Environment and Science Communication dual degree program at UNC-Chapel Hill. Through this program, I earned my bachelor’s degree in environmental studies in 2018 and will earn a master’s degree in mass communication within the next year. 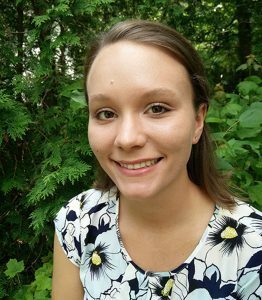 As an undergraduate environmental studies major, I studied the relationship between ecology and society and earned a minor in marine sciences. I grew up in North Carolina and have always especially loved the coast, and I was able to fully realize the importance of coastal environments while studying at the UNC Institute of Marine Sciences. There, I took specialized classes in coastal ecology and conducted research of my own for a whole semester on the Crystal Coast. After this experience, I knew I wanted to spend my time learning as much as I could about environmental science and sharing it with others. This passion has led me to pursue writing for a campus science magazine, canvassing to raise money for environmental protection, organizing a sustainability campaign for a local food company, teaching children at a science summer camp, and working at the Coastal Resilience Center. For the past two years, I have been a communications and research assistant for the CRC. Through this opportunity, I can contribute to the communications and outreach efforts that promote the center’s expertise in coastal hazards and resilience. The work I do through this internship has given me practice producing media about scientific research, which I hope will help me start my career as a science communicator and advocate for the environment. My next step is completing my master’s thesis project, where I will be working on messaging strategies with a North Carolina nonprofit group that focuses on coastal habitat restoration. Eventually, I hope to relocate to Washington, D.C., and work in communications for an environmental or science advocacy group. 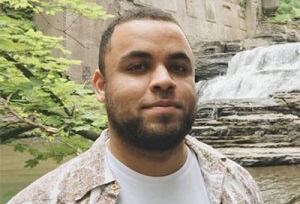 My name is Rowshon Jadid, and I am a second-year Ph.D. student in the Department of Civil, Construction, and Environmental Engineering at North Carolina State University. I received my Bachelor’s and Master’s degree in Civil Engineering from Bangladesh University of Engineering and Technology. I was born and raised in Bangladesh, which is one of the most flood-prone regions in the world. Eighty percent of Bangladesh is a floodplain, and it has an extensive sea coastline and many tributaries flowing into the Bay of Bengal. Due to these unique topographic features, major floods occurred every decade. Many flood levees were constructed as a flood defense structure across the country. I have seen how a society could suffer from a massive loss of lives and properties due to failure of infrastructure. Therefore, I chose to be a civil engineer to devote myself to improve homeland security. My educational goal is to get my Ph.D. degree in civil engineering. Career-wise, I would like to work on disaster defense infrastructure. As a part of the Coastal Resilience Center (CRC)-funded project, I got the opportunity to work with Dr. Mo Gabr and Dr. Brina Montoya from North Carolina State University. We tried to characterize the damage level resulting from hurricanes Floyd (1999) and Matthew (2016) on the stability of Princeville, N.C., levee. We simulated those hurricanes in a computer program and observed how those hurricanes progressively damage the stability of the embankment. We showed the limitations of the existing techniques of measuring the levee’s stability and proposed an improved approach which can be utilized as part of a risk assessment study and development of a rehabilitation program. Our proposed method can be employed in conjunction with a remote-sensing program to monitor the health of levee systems nationwide. Working on this project has opened the door to expand my knowledge in flood defense infrastructure. I was able to learn Plaxis, which is a sophisticated, finite-element computer program. Using that program, I am capable of assessing any geotechnical problem regarding the stability of a levee. The knowledge that I learned from this project will help me in my Ph.D. research work, and the experience gained will assist me in pursuing my career goals as a civil engineer. 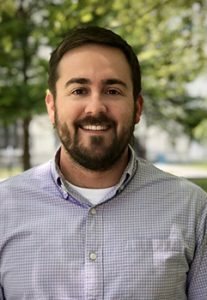 My name is Matthew Malecha and I am currently in my third year in the Urban & Regional Sciences PhD program at Texas A&M University (within the Department of Landscape Architecture & Urban Planning, College of Architecture) in College Station, Texas. My research focuses on the effects of plans and policies on community resilience to flood hazards. 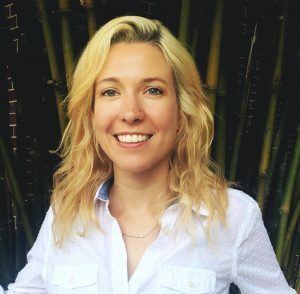 After working as an urban planner for several years, I decided to pursue a PhD so I could study critical planning and resilience issues and contribute more effectively to the “conversation,” with an ultimate goal of helping to strengthen community resilience in anticipation of the natural hazard effects of climate change. Within this broader goal, issues of equity, vulnerability, policy implementation and scale are particularly intriguing. As part of the Coastal Resilience Center (CRC)-funded Plan Integration for Resilience Scorecard research team (PI: Dr. Philip Berke), I am helping to develop, test and disseminate a pioneering method for spatially evaluating a community’s network of plans with respect to plan integration and responsiveness to flood exposure and physical and social vulnerability. We have tested the methodology in a diverse sample of coastal communities and are currently in the process of analyzing and publishing our findings. In addition, with the assistance of three pilot communities (League City, Tex. ; Norfolk, Va.; and San Luis Obispo, Ca.) and a national advisory board of expert academics and specialists, we are developing a guidebook to facilitate use of the scorecard method by planning practitioners. Following publication of the guidebook, planning and city management staff will be able to use the Plan Integration for Resilience Scorecard to more effectively evaluate their community’s network of plans and improve its integration and responsiveness. Initial reception to the scorecard has been strongly positive, and our partner communities and advisors are making valuable contributions to further refining and clarifying the process. Because of its focus on flood resilience, vulnerability and scale – and its clear application to practice – this CRC project directly coincides with my broader career goals. The opportunity to take a leading role in this exciting research has given me new insight, direction and momentum and will, I expect, strongly influence my forthcoming dissertation and academic career. 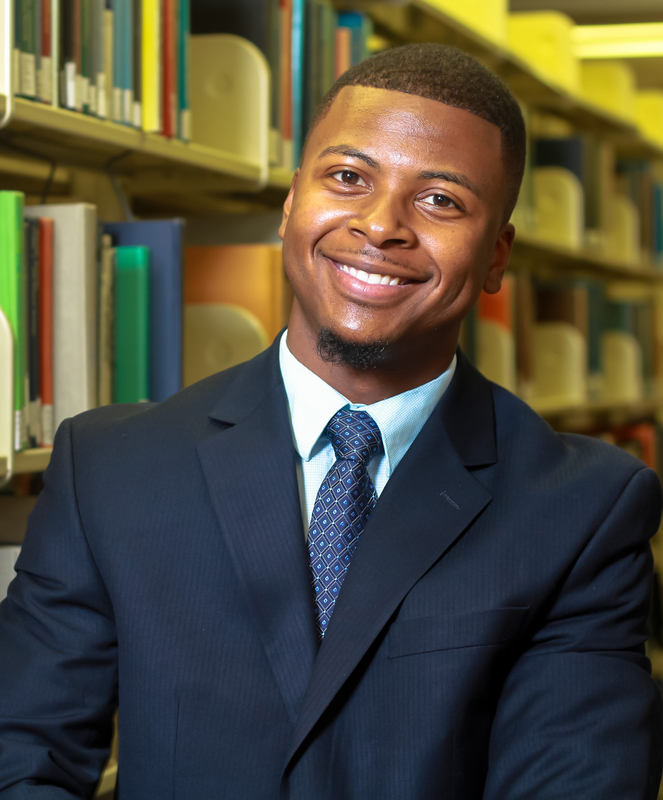 My name is Matrix McDaniel, and I am a graduate student at Jackson State University, where I also received my bachelor’s degree in Civil Engineering. I was born and raised in the Mississippi Delta, which made me conscious of the different elements that were a part of my daily life. This consciousness sparked during the year of 2005 when my hometown, Belzoni, Miss., received some backlash from Hurricane Katrina. I became interested in knowing the processes of water and wastewater treatment along with many other human health factors related to infrastructure. I made sure that my educational choices were to either be a Doctor of Medicine, or a doctor of Earth. I chose to study Civil Engineering. Educationally, I plan to continue my search for more efficient processes in cleaning water and reducing the effects of natural disasters such as Hurricane Katrina while becoming a Ph.D. candidate. It is my hope to be a life-long researcher for the sustainability of all life on Earth. The experiences I have received while working with the Coastal Resilience Center of Excellence (CRC) have been anything but phenomenal. Under the advisement of Dr. Robert Whalin, I have been able to learn more in-depth about coastal structures and their necessity for the continuation of keeping populations along coastal borders safe. I have also picked up a better understanding of finite element software. 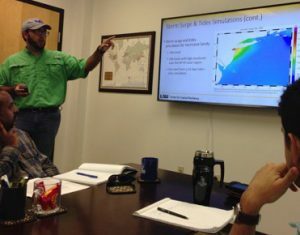 In the program, we are being taught ways to simulate a hurricane storm surge using meshes through finite element software to properly predict the impact of any specific hurricane. This knowledge has assisted me greatly because I had the opportunity to deploy on a disaster relief mission with the U.S. Army Corps of Engineers, Memphis District. During the disaster relief mission, we assisted both Puerto Rico and the U.S. Virgin Islands restore temporary power to the islands. Without power, the island was not able to have access to clean water. I had the opportunity to go around the entire island stopping at hospitals, local government buildings and mostly wastewater treatment plants to ensure that there was a power source for the health and safety of the public. 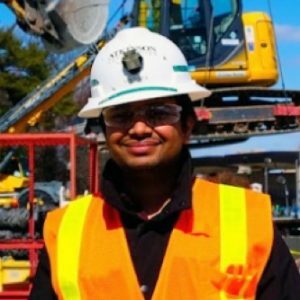 Being a developing civil engineer, these experiences have taken great affect on my management and critical thinking abilities. It is a humbling experience when you witness such chaos and the processes that a government goes through to get things back up and running. The research that the CRC does is very necessary. My name is Devon McGhee and I am a recent graduate of the Coastal Environmental Management program at Duke University. I grew up on Long Island, N.Y., and have always been interested in the intimate relationship between coastal communities and the surrounding environment. As an undergraduate, I studied ecology at Boston University and developed a technical understanding of coastal ecosystems. In my graduate studies, I have worked to complement my technical knowledge of the coastal environment with a robust understanding of relevant policies and social dynamics. During my first semester at Duke, a classmate mentioned some of the work being done by the Coastal Resilience Center and I was immediately intrigued. I did a little bit of research and discovered that the Center offered the Natural Hazards Resilience Certificate Program. Through the certificate, I took several classes with UNC’s Department of City and Regional Planning and quickly realized how well the program complemented my coursework at Duke. My work with the certificate exposed me to the realities of post-disaster resilience-building and challenged me to incorporate my technical background in creative, not-so-traditional ways. My master’s project, which studied the efficacy of post-disaster buyouts in Staten Island, N.Y., was the culmination of my coursework at Duke but the final product was heavily dependent on all that I learned while pursuing the certificate. In the few months since graduation, I’ve found my interdisciplinary understanding of coastal policy, planning and science to be indispensable. I’m inspired by the challenge that the issue of coastal resilience presents and I’m looking forward to putting my interdisciplinary skillset to work. This summer, I’ll be starting my career in the field of coastal resilience as a Coastal Policy and Communications Specialist with Michael Baker, a consulting company. Though the work will undoubtedly be challenging, I’m confident that my graduate studies have set me up to succeed. My name is Ashton Rohmer, and I am a student in the Department of City and Regional Planning (Master’s degree), Land Use and Environmental Planning specialization at the University of North Carolina at Chapel Hill. I only discovered the field of urban planning within the past few years, but it has been the perfect way for me to combine all the interests, passions and skills I have. Moreover, I’m excited that this field will give me the flexibility to work in a variety of settings and that I’ll be able to have a positive impact at the community level. In previous experience I’ve had with emergency management, planners were not an integral part of the process; however, I see the potential and need for planners to be involved as their skills can significantly improve resilience and disaster recovery outcomes. In the 2016-17 school year, I’m looking forward to working on my Master’s project, which will explore the disaster recovery process through the lens of buyout/property acquisition programs. Through case study analysis, it will focus on the implementation phase of planning, particularly as it relates to open space management, and how lessons learned can inform the development of a disaster recovery exercise that includes land use and community planning issues. 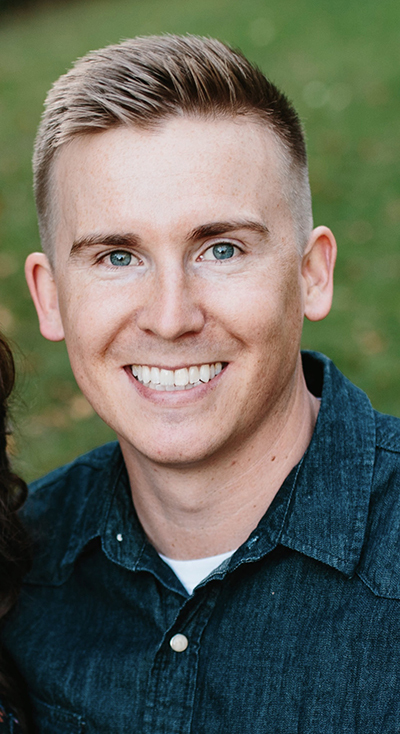 As I work to complete my graduate degree, my goal is to get the most out of my classes, particularly those that focus on important skills such as GIS analysis and mapping, facilitation, dispute resolution and cost-benefit analysis. After I graduate, I’m hoping to find a career where I can work to make communities more resilient using thoughtful land use planning and inclusive public engagement, particularly in underserved areas. In the summer of 2016, I was fortunate to be selected for the George Melendez Wright Initiative for Young Leaders in Climate Change, a program that places interns across the National Park Service to support climate change projects. I worked in the Park Planning and Special Studies office in Washington, D.C., and had the opportunity to interview park superintendents, facilities managers and regional planners. From those conversations, I learned about the challenges and best management practices of climate change adaptation planning and synthesized those lessons into a report for senior planners within the National Park Service. I compiled “fact sheets” that detailed six site-specific facilities projects that have been implemented at coastal parks to make them more resilient to the impacts of climate change. Through my internship with the National Park Service, I advanced my graphic design skills by creating a template in InDesign to complete the fact sheet project. I also further refined my public speaking skills by presenting my work to various audiences. By enhancing these communication skills, I will be able to collaborate more effectively with stakeholders in my next role building more resilient communities. I am Taralyn Rowell, a first-year graduate student at Alabama Agricultural & Mechanical University, earning my Master of Social Work degree. I received my Bachelor’s degree from Tougaloo College in Psychology with a minor in Disaster and Coastal Studies (DCS). Social Science was my area of study because I enjoy helping and interacting with others, especially those in need. This is the perfect field to be able to do so. After earning my Master of Social Work, I plan to become a Licensed Graduate Social Worker and either work as a medical social worker or work with natural disasters as a social worker. During my undergraduate career, I took the required coursework that was needed to obtain the DCS minor, led by Dr. Meherun Laiju. I also interned at the Mississippi Emergency Management Agency (MEMA) for a semester. There I learned about the different offices the Agency is divided into, the various phases of disaster preparedness and projects that were being proposed to raise natural disaster awareness. Next, I interned at the American Red Cross. There I was exposed to hands-on experience of the intake process of victims that the Red Cross helps. I was able to see the paperwork that needed to be completed and how to each document was filled out. I also got the chance to go on-site to a disaster where a resident’s home burned down. When arriving at the scene, we had to complete the appropriate paperwork and connect the victim to the proper resources so that he would have shelter until he could get a new home. Additionally, I was granted the opportunity to spend the summer at the University of Delaware’s Disaster Research Center as part of the SUMREX program. I worked with a staff member on a project exploring how government, insurance companies and homeowners make decisions related to hurricane mitigation and insurance. I conducted literature reviews, data analysis and report writing. The wonderful experience I have gained while taking various classes and interning with organizations has opened a new career path for me. Before becoming involved with DCS, I was unaware how broad the field of natural disasters was. I am now interested in working with natural disasters and am very appreciative for the various types of exposure I’ve been able to gain through the program. 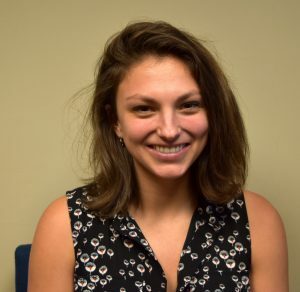 My name is Lea Sabbag and I recently completed my master’s degree in city and regional planning at the University of North Carolina at Chapel Hill (2016), and was a Career Development Grant recipient with the Coastal Resilience Center. I chose this area of study in order to better understand how planning principles and governance structures affect various facets of social-ecological systems and hazard vulnerability. Not only has my academic experience highlighted the importance that land use measures have on community resilience, but it has also exposed me to a range of policy recommendations that can better inform future approaches to sustainable development. In the summer of 2016 I had a unique opportunity to collaborate with the Maui County Planning Department and the University of Hawai’i Sea Grant program on the initiation of a pre-disaster recovery process. To support their efforts, I assessed Hawaii’s current legal and regulatory framework, along with potential approaches to incorporating resilient coastal management principles into future disaster recovery efforts. I gained in-depth exposure to issues regarding emergency proclamations and unintended consequences of the existing process, as well as how a disaster recovery ordinance may be suited to address unmet needs at the county and state level. In addition, I researched key elements of pre-disaster recovery planning for statewide reference and use, including the importance of building social capital and establishing a broader governance framework. Through my summer experience, I acquired deeper insight into coastal management challenges and various land use applications as they relate to special management area (SMA) permits, Hawaii’s shoreline rules, and cases where variances may apply. This knowledge, coupled with my academic experience at UNC-Chapel Hill, expanded my understanding of risk and uncertainty in complex systems, and will be invaluable to my future career as a natural hazards planner. My name is Reinaldo Santiago. I am a senior computer engineering major at Benedict College, in Columbia, SC. 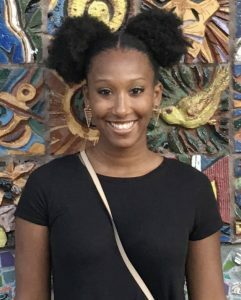 I chose this major because as a computer scientist and computer engineer, I can change the world by designing, building and deploying innovative solutions to real-world problems. I can design and build hardware and software systems; develop effective ways to solve problems (such as extracting knowledge from massive amounts of data, deploying robots in the real world, or devising new approaches to security and privacy); and invent new and better ways to use computers to address challenges such as decoding the human genome, making transportation more efficient, revolutionizing health care, empowering people in the developing world, transforming education and building videogames. My educational and career goals are to get my computer engineering degree and also get a master’s degree as a computer hardware engineer. The research work I did in the summer of 2016 with Dr. Anton Bezuglov was really helpful for my future. The research work focuses on design, implementation, and testing of an Artificial Neural Network (ANN) model for storm surge prediction in North Carolina. The inputs to the model are hurricane parameters such as its location, central pressure, and radius to maximum winds. The outputs are the storm surge predictions for specified locations along the coast. This research gave me an excellent opportunity to work with Artificial Neural Networks, learn how they are implemented and trained, learn new algorithms, and technologies. Besides, it gave me an opportunity for better understanding of natural disasters, in this case hurricanes, and a chance to see what the future will be. The experience gained by doing this research has impact on my academic and career planning. I could experience the real-life office work on a real-scale research project. I also learned how to plan my activities and manage time. In relationship to my academic career, I have learned new things which I had not known before, nor had I known they had existed. It helped me to have an idea of what I want to do for the future. With this experience I could understand the importance of security, and how to know that things can help to save time or prevent any disaster, whether natural or induced. It has also helped me choose or have an idea of what will be my way to the future. This research has also been helpful to know what kind of classes are those that I will be taking for my next semester and the semester that follows. In addition, it has helped me to understand that there are more things you can do with this, which I will be using for my senior research paper and having a little more understanding of what I want to do for my master’s degree. 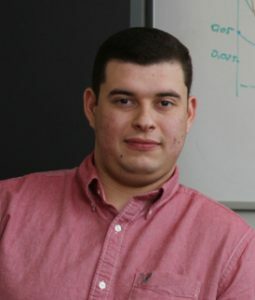 My name is Jorge Santiago Hernández, and I am a Ph.D student under the supervision of Dr. Forrest Masters, working at the Boundary Layer Wind Tunnel, one of Natural Hazards Engineering Research Infrastructure facilities. My current area of study is structural engineering. I chose it because I have learned and experienced that structural integrity is of vital importance to our society, and it is my intention to learn the techniques to protect my homeland from natural hazards like the recent Hurricane María. 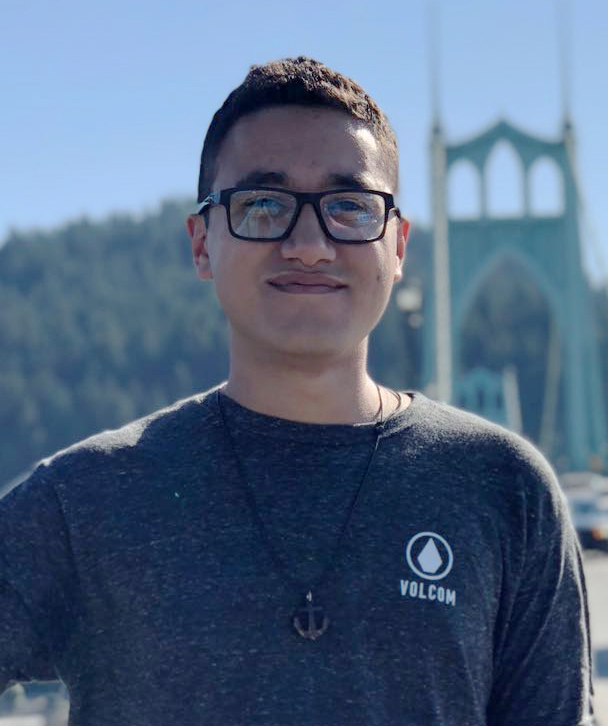 As a senior Civil Engineering major at the University of Puerto Rico at Mayagüez, I took part in SUMREX in 2018 at Oregon State University. Our task was to help build a house on a 1:6 scale, similar to the typical construction on houses on the coast. The biggest challenge was to scale it geometrically, but to also scale the structural behavior. The scope of this work helped us understand wave load conditions, allowing us to get better equations for designing coastal structures, resulting in resilient coastal communities. It was exciting to see how courses like structural analysis and structure dynamics became the core of my research. This experience definitively encourages me to pursue graduate studies in the field of coastal engineering, because coming from an island you know how this field can really make a positive impact on people. My goal is to contribute knowledge through my Ph.D. project and ultimately apply all of what I have learned back at my homeland. 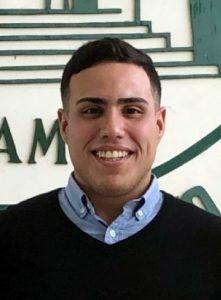 I am Felix Santiago-Collazo, a first-year graduate student from the University of Puerto Rico at Mayagüez. My master’s degree is in civil engineering, specifically in water resources and environmental engineer. My main research areas include hydrodynamics of channel networks, sediment transport, and hydrologic flood analysis. The fact that water is such an essential component needed in any society and that living in such a small island as Puerto Rico, made me realize the importance of conservation and management of water. Also, culturally speaking, people do not have good water stewardship. All this make me realize the importance of learning more about water resources and drove me towards graduate school. During my first semester of graduate school, I was involved on a research about assessing the flood due to a hurricane event on the eastern coast of Puerto Rico. This research got me curious on how the storm surge event occurs and how we can model it. Therefore, I applied to the Department of Homeland Security’s (DHS) Coastal Resilience Center (CRC) summer research experience to know more about this coastal phenomenon. Seeing how a numerical model can predict floods and therefore save lives helped me realize that a PhD was for me. After obtaining my PhD from a U.S. university, I want to become part of the academic faculty, since doing research and sharing my knowledge is what drives me in life. Being part of the academic faculty at Puerto Rico will help give back to students and society from all the research opportunities and learning that I received as a student. 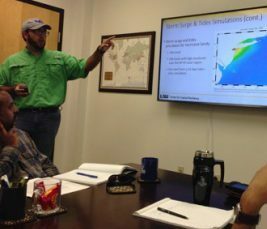 During my summer research with Dr. Scott Hagen from Louisiana State University, and Dr. Stephen Medeiros from the University of Central Florida, I was able to expand, deeply, my knowledge in coastal hazard modeling. During my summer research, I was able to learn the basics of the Linux command line, high performance computing and ADCIRC with particular emphasis on parameterizing surface roughness and topography. Also, I became familiar with GPS-RTK surveying and assessing the land cover for bottom friction and wind reduction. In addition, storm surge models were created for different hurricanes that impact the Gulf of Mexico. This experience helped me open doors for PhD opportunities at U.S. universities. Also, it helps me realize the importance of taking into consideration coastal hazard modeling in hydrologic modeling. Finally, this opportunity reaffirms my desire to complete a PhD and become part of the academic and research faculty. 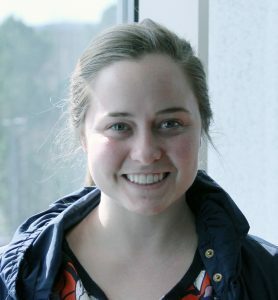 My name is Jessamin Straub and I am a graduate student at the University of North Carolina at Chapel Hill in the Department of Marine Sciences. I am currently located at the UNC Institute of Marine Sciences in Morehead City, N.C., where my master’s thesis research focuses on contributing to our understanding of hazards faced by coastal communities through predicting dune-erosion along the coast of North Carolina. I chose marine sciences as my area of study because I developed a passion for marine science and applied research as an undergraduate at Coastal Carolina University. I specialize in coastal geology because I understand that coastal communities will be impacted by increases in hurricane intensity, coastal erosion and sea-level rise. I am motivated to create science-based policy that will help communities better prepare for coastal hazards and mitigate against impacts. It’s important for coastal communities to be able to predict and understand dune erosion in order to help prepare resources and restrict building in highly vulnerable areas. My educational goals are to explore the interactions between coastal morphology and nearshore waves to enhance understanding of natural hazards and to help develop strategies for resilient communities. I am interested in helping develop tools for coastal communities to enhance understanding of dune erosion and coastal hazards. Career-wise I am interested in working in the coastal hazards and coastal resilience field at the intersection of science and policy. I am interested in helping communities create policy and management strategies using the most up-to-date, scientifically accurate research in order to prepare for and mitigate against future impacts. I am currently an Education and Workforce Development Fellow through the Coastal Resilience Center. In addition to my Marine Sciences degree, I am pursuing the Natural Hazards and Resilience Certificate Program, which I think is a unique opportunity. The certificate program has allowed me to pursue scientific research in coastal geology while gaining a solid foundation in management strategies and how communities prepare and recover from natural disasters. In addition, for my master’s research I have been working with Dr. Rick Luettich and the ADCIRC (ADvanced CIRCulation) model through the CRC and Department of Marine Sciences. The CRC and the certificate program drew me to UNC-Chapel Hill to purse my master’s in Marine Sciences. I feel extremely fortunate to be a part of the CRC, which has been an integral part of my time as a graduate student and has shaped my educational and career goals. Gaining a background in applied marine sciences research while being able to incorporate understanding about the human dimension, management strategies, and policy through the CRC continues to guide my interests and career goals. My name is Amanda Tritinger, and I am a doctoral candidate at the University of North Florida in Coastal Engineering. I have always enjoyed the art of math; how numbers can represent objects, trends and physics. It was always important to me that I do something with my career that would have a positive impact on the world around me. Because of that, I started my educational career in Environmental Engineering. During this degree, I found that I was more interested in my courses that involved hydrodynamics than the others. In my second year, I began research with the Center for Hydroscience Analysis, Modeling, and Predictive Simulations (CHAMPS) lab at the University of Central Florida. Working in the CHAMPS lab got me involved with various field work events, exposed me to the world of computational modeling, and gave me the opportunity to teach the Hydraulics and Hydrology labs on campus. Then I learned I could continue my education in the field of hydrodynamic modeling, and I knew I had found my calling. I have since received my master’s degree in civil engineering with a focus in coastal modeling, and now my work is strictly focused on coastal engineering. Currently I am working to increase the accuracy and efficiency of three-dimensional effects on surges for coupling with stream flow and precipitation. Dr. Don Resio at the University of North Florida (UNF) is my advisor for this work. Our research is being funded by the Coastal Resilience Center. My hope is that this research will add to the understanding we have of storm surge prediction, and will ultimately help us to more accurately forecast the catastrophic events that effect so many lives. In 2016 the Coastal Resilience Center also sent me to the Consumer Electronics Showcase in an effort to find newly developed technology that could be applicable to the field of coastal engineering. After the showcase, research was done on how to this technology could be integrated into our field, and then presented in Washington D.C. to the Under Secretary of Homeland Security for Science and Technology. This experience forced me to be innovative and see research problems from different perspectives. The field of coastal engineering is still young, and it is important to ask questions and be creative when choosing an approach to an issue. After I receive my PhD, I plan to work at a research facility and gain experience outside of my current research bubble. I would like to gain perspective on what researchers are doing elsewhere, and bring it back to academia. During this time, however, if I have the opportunity, I plan to also work as an adjunct professor. I currently teach Introduction to Environmental Engineering at UNF, and find it very rewarding. 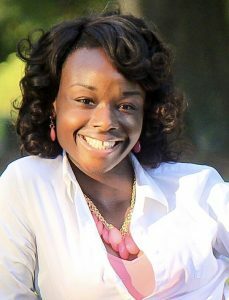 My name is Sabrina Welch, and I am a PhD student at Jackson State University. I was born and raised on the Caribbean island of Barbados, where I lived walking distance from the beach. From a young age, I was very fond of the beach and spent a significant amount of my childhood there, and I made many observations about the ocean such as tides, littoral drift and even severe beach erosion. It was this love for the ocean and my desire to protect coastal cities like my hometown that piqued my interest and was a major determining factor that lead me to pursue a graduate degree in Coastal Engineering. I desire to complete my studies and obtain a doctoral degree in Coastal Engineering. This pursuit of a doctoral degree is directly linked to my aspiration of entering the field of academia; however, I would like to spend at least 10 years working as a practicing coastal engineer before doing so. I had an enjoyable and highly productive summer as a participant in the 2017 SUMREX program. During the University of Central Florida (UCF) portion of my summer experience I covered the fundamentals associated with ADCIRC – this included the completion of a mathematical methods pre-test in addition to the SMS + ADCIRC Bootcamp tutorial. Two field days were also included; the first covered the basics of RTK surveying and the second focused on teaching methods of assessing land cover in order to determine Manning’s n Value for a site of interest. The second half of my SUMREX experience was spent at Louisiana State University (LSU), where I utilized the knowledge gained at UCF. There I was introduced to the HPC (High Performance Computing) environment and the Linux command line. We also covered the generation of ADCIRC-required input files, executed storm surge simulations and analyzed output data. The 2017 UCF/LSU SUMREX research program was a great experience for me as a rising ADCIRC user. My participation in this program has led to an improved understanding of the ADCIRC system, which is beneficial since ADCIRC will play a major role in my PhD dissertation topic, and the knowledge gained will aid in the development of my aspiring career as a coastal engineer. My name is Darien Williams, and I am a master’s student at the Department of City and Regional Planning at The University of North Carolina at Chapel Hill. After following a winding path of academic and professional interests, this field almost chose me, as it puts to use every skill I’ve picked up along the way. I chose UNC-Chapel Hill because it very neatly and sincerely folds the contributions of the social sciences into the field of planning. My background is in sociology and working to mobilize and strengthen communities. During the summers of 2012 and 2013, I worked with a nongovernmental grassroots development organization to remodel stoves and kitchens in order to prevent a significant public health issue in rural Peru, smoke inhalation, as well as fire risk mitigation. I also was fortunate enough to have the chance to work on a dairy farm in South Africa, to study a community of farmers connected to markets nearby in urban Pretoria. I started along this path by examining problems in rural settings. Sooner or later the problems always led me to larger dynamic issues facing rural and urban spaces alike, so I went to the cities. My interest in coastal resilience and hazard mitigation was crystallized while teaching and volunteering in Tokyo, not just a city that faces an incredible number of natural hazards, but a society very well-mobilized to meet such challenges proactively. Inspired by this resilience in an area continuously affected by earthquakes, volcanic eruptions, tsunamis, and mudslides, among other threats, I now journey to see if such resilience can be built in my home country, the United States. My name is Siyu Yu and I am currently a third-year PhD student in the Urban and Regional Sciences program in Texas A&M University’s Department of Landscape Architecture and Urban Planning within the College of Architecture. My research interests are community hazard vulnerability and plan quality evaluation. My educational and career goals focus on tackling the problems of measuring resilience, integrating and testing concepts linked to networks of plans and increasing community adaptive capacity to climate change. 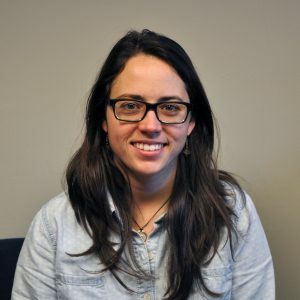 I work as a graduate research assistant on a national study of the effects of networks of local plans on vulnerability to flooding hazards and climate change along the Atlantic and Gulf coasts. My work with CRC is to assist our research team with obtaining, organizing and analyzing data and interpreting results. We have developed ‘resilience scorecards’ for coastal communities based on physical, social and environmental vulnerabilities to coastal flooding and sea-level rise. I also help maintain and analyze the “Beyond the Basics” website, which was developed as part of a multi-year research study funded by the U.S. Department of Homeland Security and Coastal Resilience Center. The project was led by the University of North Carolina’s Center for Sustainable Community Design and the Institute for Sustainable Coastal Communities at Texas A&M University. This experience facilitates not only my research interests but also my career goals.